To study this question we need to return to Hadoop’s inspiration – Google’s (s goog) MapReduce. Confronted with a data explosion, Google engineers Jeff Dean and Sanjay Ghemawat architected (and published!) two seminal systems: the Google File System (GFS) and Google MapReduce (GMR). The former was a brilliantly pragmatic solution to exabyte-scale data management using commodity hardware. The latter was an equally brilliant implementation of a long-standing design pattern applied to massively parallel processing of said data on said commodity machines. GMR’s brilliance was to make big data processing approachable to Google’s typical user/developer and to make it fast and fault tolerant. Simply put, it boiled data processing at scale down to the bare essentials and took care of everything else. GFS and GMR became the core of the processing engine used to crawl, analyze, and rank web pages into the giant inverted index that we all use daily at google.com. This was clearly a major advantage for Google. Enter reverse engineering in the open source world, and, voila, Apache Hadoop — comprised of the Hadoop Distributed File System and Hadoop MapReduce — was born in the image of GFS and GMR. Yes, Hadoop is developing into an ecosystem of projects that touch nearly all parts of data management and processing. But, at its core, it is a MapReduce system. Your code is turned into map and reduce jobs, and Hadoop runs those jobs for you. Then Google evolved. 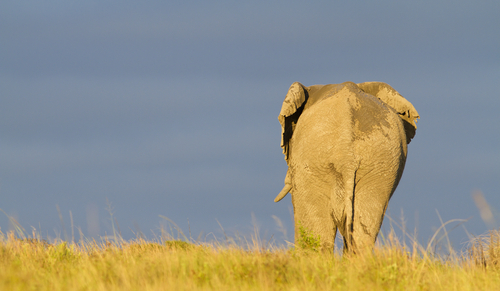 Can Hadoop catch up? Most interesting to me, however, is that GMR no longer holds such prominence in the Google stack. Just as the enterprise is locking into MapReduce, Google seems to be moving past it. In fact, many of the technologies I’m going to discuss below aren’t even new; they date back the second half of the last decade, mere years after the seminal GMR paper was in print. Percolator for incremental indexing and analysis of frequently changing datasets. Hadoop is a big machine. Once you get it up to speed it’s great at crunching your data. Get the disks spinning forward as fast as you can. However, each time you want to analyze the data (say after adding, modifying or deleting data) you have to stream over the entire dataset. If your dataset is always growing, this means your analysis time also grows without bound. So, how does Google manage to make its search results increasingly real-time? By displacing GMR in favor of an incremental processing engine called Percolator. By dealing only with new, modified, or deleted documents and using secondary indices to efficiently catalog and query the resulting output, Google was able to dramatically decrease the time to value. As the authors of the Percolator paper write, ”[C]onverting the indexing system to an incremental system … reduced the average document processing latency by a factor of 100.” This means that new content on the Web could be indexed 100 times faster than possible using the MapReduce system! Coming from the Large Hadron Collider (an ever-growing big data corpus), this topic is near and dear to my heart. Some datasets simply never stop growing. It is why we baked a similar approach deep into the Cloudant data layer service, it is why trigger-based processing is now available in HBase, and it is a primary reason that Twitter Storm is gaining momentum for real-time processing of stream data. Dremel for ad hoc analytics. Google and the Hadoop ecosystem worked very hard to make MapReduce an approachable tool for ad hoc analyses. From Sawzall through Pig and Hive, many interface layers have been built. Yet, for all of the SQL-like familiarity, they ignore one fundamental reality – MapReduce (and thereby Hadoop) is purpose-built for organized data processing (jobs). It is baked from the core for workflows, not ad hoc exploration. In stark contrast, many BI/analytics queries are fundamentally ad hoc, interactive, low-latency analyses. Not only is writing map and reduce workflows prohibitive for many analysts, but waiting minutes for jobs to start and hours for workflows to complete is not conducive to the interactive experience. Therefore, Google invented Dremel (now exposed as the BigQuery product) as a purpose-built tool to allow analysts to scan over petabytes of data in seconds to answer ad hoc queries and, presumably, power compelling visualizations. Google’s Dremel paper says it is “capable of running aggregation queries over trillions of rows in seconds,” and the same paper notes that running identical queries in standard MapReduce is approximately 100 times slower than in Dremel. Most impressive, however, is real world data from production systems at Google, where the vast majority of Dremel queries complete in less than 10 seconds, a time well below the typical latencies of even beginning execution of a MapReduce workflow and its associated jobs. Interestingly, I’m not aware of any compelling open source alternatives to Dremel at the time of this writing and consider this a fantastic BI/analytics opportunity. Pregel for analyzing graph data. Google MapReduce was purpose-built for crawling and analyzing the world’s largest graph data structure – the internet. However, certain core assumptions of MapReduce are at fundamental odds with analyzing networks of people, telecommunications equipment, documents and other graph data structures. For example, calculation of the single-source shortest path (SSSP) through a graph requires copying the graph forward to future MapReduce passes, an amazingly inefficient approach and simply untenable at scale. Therefore, Google built Pregel, a large bulk synchronous processing application for petabyte -scale graph processing on distributed commodity machines. The results are impressive. In contrast to Hadoop, which often causes exponential data amplification in graph processing, Pregel is able to naturally and efficiently execute graph algorithms such as SSSP or PageRank in dramatically shorter time and with significantly less complicated code. Most stunning is the published data demonstrating processing on billions of nodes with trillions of edges in mere minutes, with a near linear scaling of execution time with graph size. At the time of writing, the only viable option in the open source world is Giraph, an early Apache incubator project that leverages HDFS and Zookeeper. There’s another project called Golden Orb available on GitHub. Mike Miller (@mlmilleratmit) is chief scientist and co-founder at Cloudant, and Affiliate Professor of Particle Physics at University of Washington. Feature image courtesy of Shutterstock user Jason Prince; evolution of the wheel image courtesy of Shutterstock user James Steidl. Hadoop is unviable and companies such as Cloudera would make a killing selling storage systems. I can’t imagine you would always require 3 times the hardware. So for a data of 10 PB you would require 30 PBs of clusters and that would grow linearly. I fail to understand when people talk about commodity systems, having so many clusters, network wires, Store rooms etc. It clearly calls for a more robust way to handle really large data rather than using Hadoop. This is not accurate, you do not have to use MapReduce to use Hadoop. – HBase is a very popular low-latency database on top of Hadoop that does not use MapReduce as part of its normal operation. – Applications built with ZooKeeper co-ordination do not necessarily require MapReduce. I do agree that Hadoop would benefit from an OLAP-like solution similar to Dremel. Mike, I agree Hadoop may not be the best tool for all big data needs. An enterprise-ready solution worth looking at is HPCC Systems. As a superior alternative to Hadoop, HPCC Systems provides a single platform that is easy to install, manage and code too. Their built-in analytics libraries for Machine Learning and integration tools with Pentaho for great BI capabilities make it easy for companies to analyze their big data and take action on real-time insights. I believe HPCC is better than Hadoop and commercial offerings, it has real-time data analytics and delivery engine (Roxie) and runs on the Amazon cloud like a charm through their One-Click portal. For more info visit: hpccsystems.com. How do you expect them to take advantage of these technologies when the need has not been met for Hadoop yet? Overall, it’s pretty interesting to see the newer big data solutions rather than enterprises trying to just adopt Hadoop as a silver bullet and also I think we owe a lot to Google for making their designs public. Also, there was an interesting comment made by a speaker at QCon that “Hadoop is the EJB of our time”. Just wanted to point out the link to your slides is broken. If you copy & paste the URL, it works correctly. Let me see if I understand this article. Google implements MapReduce. Open-source implements MapReduce. Google uses other technologies. (Open-source, of course, already uses other technologies.) Therefore, journalist reports that open-source MapReduce is dying. Journalist “hopes” that a few specific alternatives will get traction. Every part of this article that I see is either tautological, or misleading. Actually, to be clear, Mike is a technologist and a physics professor. Had I wrote this, you’d be correct on the journalist part. As for open source MapReduce, I think Mike’s right that it’s already yesterday’s news, but that doesn’t mean it doesn’t have a place. But as you speak with companies that already have batch Hadoop workflows in place, they’re definitely looking for what’s next, with real-time and stream processing being chief among their desires. > At the time of writing, the only viable option in the open source world is Giraph, an early Apache incubator project that leverages HDFS and Zookeeper. Thereâ€™s another project called Golden Orb available on GitHub. The above was mentioned in the context of pregel/graph processing. Apache Hama is another option which needs to be considered. 0.5 release has the Google Pregel implemented. One thing to note is while Giraph is only for graph processing, Hama is a pure BSP engine on which a lot can be done besides graph processing. Also, GoldenOrb had not been active from August, 2011. Recently, Apache Hama/Giraph have moved from Apache Incubator to Apache TLP (Top Level Project). Although Apache Hama/Giraph can be used for graph processing, both of them have just a few graph processing algorithms implemented. But, both of them provide simple API to write new graph processing algorithms easily. Also, there are few/none instances of these frameworks in production. Because of the ecosystem/$$$/hype around Hadoop, many try to fit Hadoop/MR as a solution for every problem. It’s time to look for other models also. 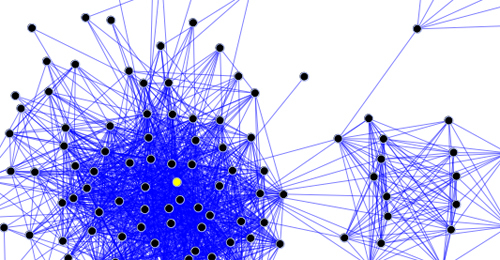 It’s for doing algorithms on graphs similar to what Giraph does, but much more efficiently. The data may have to fit in the memory of the cluster (I’m not sure about that). At Cloudscale we use Lustre rather than HDFS to get HadoopMapReduce, realtime analytics, MPI, BSP, graph etc. in a unified system that can offer extremely high performance and low latency at massive scale. Sorry, Miller, you make very wrong comparison. All Google tools are proprietary for their own play. However cool they are, you just can’t touch it or you better pay pretty money to use it. Hadoop and its ecosystem are completely open-source. You installed them freely inside your company on your own hardware. They may be slower but they could do the job they’re asked to do cheaper and efficient. Your comparison makes no sense at all. Tim, it is naÃ¯ve to think that open source is…free. The cost required to master the technology, to develop on top of it and then to maintain and patch it – that cost is pretty big and is often driving companies to purchase licenses for non-open source tools. Therefore, it IS definitly worth comparing free and non-free technologies. I think that doesnâ€™t do justice to open source. It is not merely the low-cost inferior alternative. The goal to aim for is to be better than proprietary solutions, or equally good at the least, and if it is not then there is work to be done! I think that doesnâ€™t do justice to open source. It is not merely the low-cost inferior alternative. The goal to aim for is to be better than proprietary solutions, or equally good at the least, and if it is not then there is work to be done! They are equals and I do not see why you could not compare them. I strongly agree that ad-hoc exploration is a weakness of Hadoop-based analytics workflows, and a number of players are emerging to address this pain point, not least of which is SAP’s HANA appliance. Qliktech’s strength as a BI product is precisely its ease in enabling fast, exploratory queries, although it remains a desktop product. In the coming decade, the disruption to the BI market will be driven by those who deliver solutions, not tools. And those solutions won’t be delivered by a big box or confined to a Windows desktop; they will be cloud-backed, web-delivered services. (Disclosure: I am the CEO at Metamarkets, so I admittedly have a dog in this hunt). In the coming decade, the disruption to the Big Data market ( which includes next gen BI ) will be driven by those who deliver solutions. And those solutions will be cloud-backed PaaS services. Good point. The industry will need solutions similar to what Google has built and there is a good scope for ISVs , opensource and commercial alike.. I feel like an important paradigm you missed is the Event Stream Processor, like Storm (http://storm-project.net/). We’ve got a small Storm cluster we’re evaluating for real-time stuff. The plan is that as logs come off our Tomcat nodes, they stream to the back end via Kafka (http://incubator.apache.org/kafka/) where they go to both Storm for real-time analysis and Hadoop for more in-depth off-line analysis and research. IMHO, the combo of Storm and small, dense and power efficient ARM nodes (a la http://gigaom.com/cloud/see-what-cloud-can-do-dell-unveils-arm-servers/) will be the new hotness. We’ve seen simliar architectures using GridGain’s In-Memory Data Platform. As streaming data gets in, it gets stored in in-memory cluster and in parallel gets saved into HDFS. In-memory grid is used for sub-second analysis for TBs of data, HDFS is used as traditional data warehouse (offline analytics)…. best of two worlds. Hi, I mentioned Storm above (in the Percolator) but didn’t have time to go into detail. We’ve watched it grow since we were rubbing elbows and trading ideas in Boston with Backtype (YCS08 as well).